We're going to switch topics entirely this week and talk about time travel. Our choices for Best Book Ever should prove pretty soundly that time travel isn't just for sci-fi any more! Check it out! 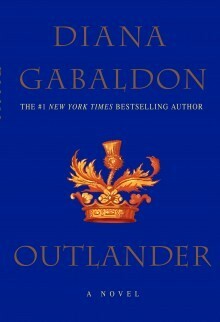 At the risk of sounding like a total fan-girl after first admitting to pity for Black Jack Randall and then gushing over Jamie Fraser, I have to admit that OUTLANDER is (of course) my favorite time travel book of er... all time. I adore it because Gabaldon more or less says, "Hey, she traveled through time, okay? Deal." There's not a lot of explanation involved, and I totally buy it as a reader. A close second would be the adventures of Charles Wallace in A SWIFTLY TILTING PLANET as well as the less well known romp of the twins Sandy and Denys in the Biblical world of MANY WATERS. I know its suppose to be Best BOOK ever, but you ask which is my favorite time-travel and there is a series I LOVE very much. 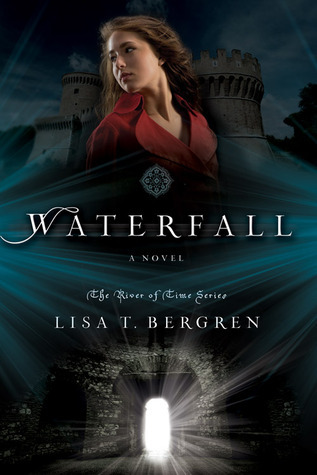 So Lisa T. Bergren's River of Time series is my choice for Best time-travel book/series this week. The series consist of Waterfall, Cascade, Torrent, Bourne and Tributary. River of Time series is a beautiful story of two sisters that happen to find a way to travel back to the 14th century and so much takes places in their adventures that you never want to leave the story. Of course having to very swoon-worthy guys as love interest never a hurt a story either. Lord Marcello is my favorite Lord ever!!!! Without a doubt, my favourite book that involves time travel is the OUTLANDER series by Diana Gabaldon. I was told about these books years ago, and while my favourites are books 1-4 (OUTLANDER, DRAGONFLY IN AMBER, VOYAGER, DRUMS OF AUTUMN), the series currently sits at 7 volumes and still going. The story is about Claire Randall, a doctor whose present time is the 1940s. While on her honeymoon in Scotland with her husband, she finds herself stepping back into time—the year 1743, to be exact. And that is, of course, when she meets Jamie Fraser, he of the red hair and general Gaelic swoonery. Gabaldon’s extensive research is incredibly thorough, and her characters are so well-drawn. OUTLANDER has hefty emotional pull, and I simply couldn’t put it down. Plus, kilts. 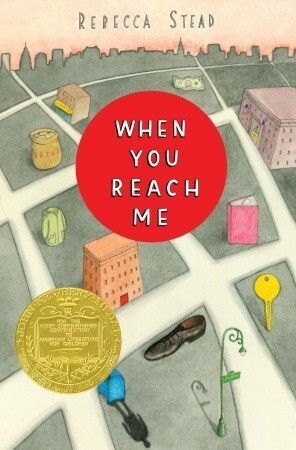 My favorite time travel book by far is WHEN YOU REACH ME by Rebecca Stead. Unfortunately, I can't say very much about the actual time travel aspect without spoilers, and I do NOT want to ruin this book for anyone. (Seriously, you guys, if you haven't read it, you need to do so immediately. Plus, it's sort of a double whammy, since WHEN YOU REACH ME includes so many references to another wonderful time travel book, A WRINKLE IN TIME.) The way Rebecca Stead managed to weave a time travel element into such a realistic, character-driven story without making it seem at all out of place is utterly genius. In fact, even without the time travel, this book is a gorgeous, heartbreaking story about the way friendships change and break apart. The characters are incredibly relatable and likable. But the addition of the time travel element takes everything one step further, allowing the story to wrap up in a twisty, unexpected way and lending the whole book an extra magical sparkle. When you finish the last page, you immediately want to start again at the beginning so you can see how all the pieces fit together. I cannot recommend this book highly enough. I love a sassy, spunky heroine-- and Emerson Cole is one of my favorites. Even though she is being tormented by visions of people from the past that no one else can see--and that make her doubt her sanity, Emerson manages to stay witty and charming. 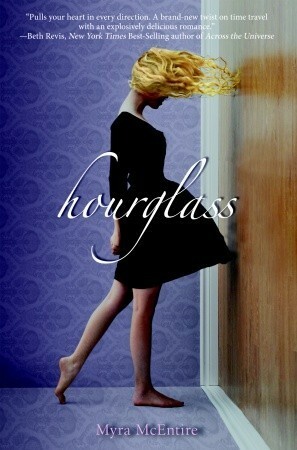 Add in a mysterious group called the Hourglass-- and an even more mysterious (and handsome) consultant named Michael and you've got a novel that deals with time travel in a unique and addictive way. I love time travel in fiction, so it's really hard for me to pick just one as the very best. But no one does time travel better than Connie Willis, and her novel Doomsday Book is one of my favorites as well as one of the best examples of how time travel and its consequences can be handled in a serious, thoughtful way. In the world of Doomsday Book--which Willis has also explored in her recent books Blackout/All Clear and numerous short stories--historians use time travel to study the past. There are plenty of restrictions on where and when they can travel to avoid dangerous situations, and in general it seems that it is impossible to alter significant events. The students who take these trips must study every aspect of their chosen time period, from the language to the clothing to known historical events. In Doomsday Book, we see why this rigor is so important when Kivrin Engle travels to 14th century England and is accidentally stranded there during the Black Plague while an influenza epidemic overwhelms her home time period in the future. The book is often grim, as you would expect, but it particularly shines in Willis' thorough research, vivid descriptions, beautiful dialogue, and engaging characters. Time travel aside, Doomsday Book is just a fantastic science fiction novel, which has won several awards, including both the Nebula and Hugo. For a lighter treatment of the same concept, see her more comedic To Say Nothing of the Dog. Since our other participants definitely have Outlander covered, which is my other favorite time travel story, I'm going to go with The Time Traveler's Wife. Chicago author Audrey Niffenegger takes time travel out of the realm of science fiction and puts it in a contemporary romance novel instead. Henry is a man displaced in time, jumping back and forth between now and then. He is a bundle of issues, and sometimes he isn't even a very good person, but he is fascinating. Look, I'll be the first to admit that this book is problematic -- it's about upper-middle class or wealthy white people, who live in an almost all-white world, who have the resources to deal with Henry's time issues -- but I still love it. I bawled my eyes out the first time I read it (on public transportation, no less), and the second, and the third, and and and... well, you get the picture. It's a love story, and an adventure, and it's going to break your heart, but it's worth it. What about you? What's your favorite time-travel story? Oh man the Waterfall series- how could I forget that???? 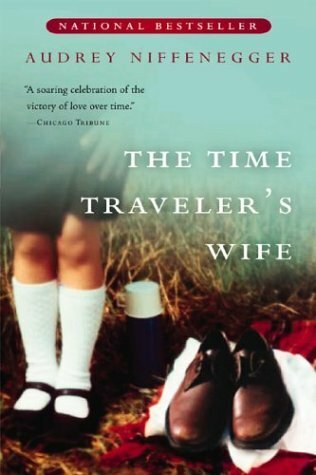 Although I haven't read it, The Time Traveler's wife is the novel I first thought of when it came to Best Ever books for Time Travel. But these others give me plenty of titles to look into, if they aren't already on my ever-swelling TBR list lol! I was just looking into getting some Time Travel Books, and have been shopping around. I gave up awhile ago, but here's your post. I found it very useful! Thanks for posting! I might have mentioned The Time Traveler's Wife for this one, but I already made that my Best Ever Romance :) And I'm glad Alison mentioned When You Reach Me--that and A Wrinkle in Time were close second choices for me. I love those books and heartily recommend them!